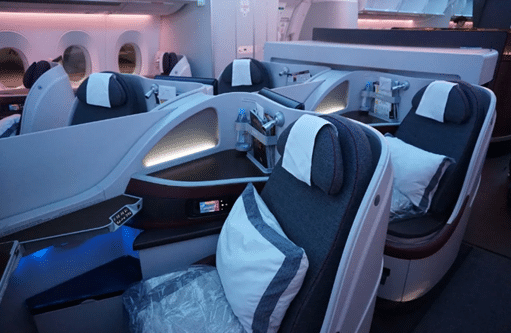 All three daily flights will operate QSuite-equipped cabins from 31 March 2019...and award space is plentiful. It’s safe to say that Qatar’s QSuites rank right up there alongside SQ Suites, Emirates First and Etihad Apartments as must-try cabin products for any aspiring travel hacker. This groundbreaking new product, which was introduced in March 2017, was the first to feature a double bed in Business Class. It can even be used as a dining or working pod for four people traveling together. 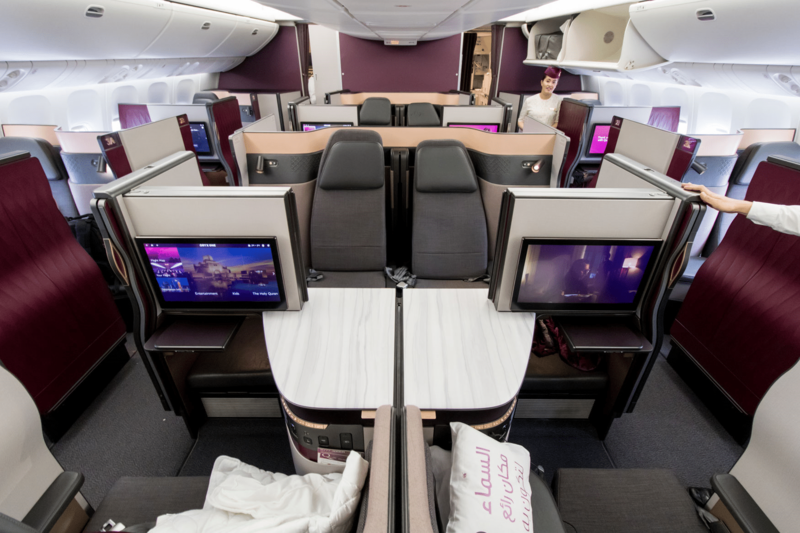 Although the rollout has been a bit slower than hoped for, Qatar now has 32 aircraft equipped with QSuites. The product is available on all A350-1000s and selected A350-900s and 777Ws. 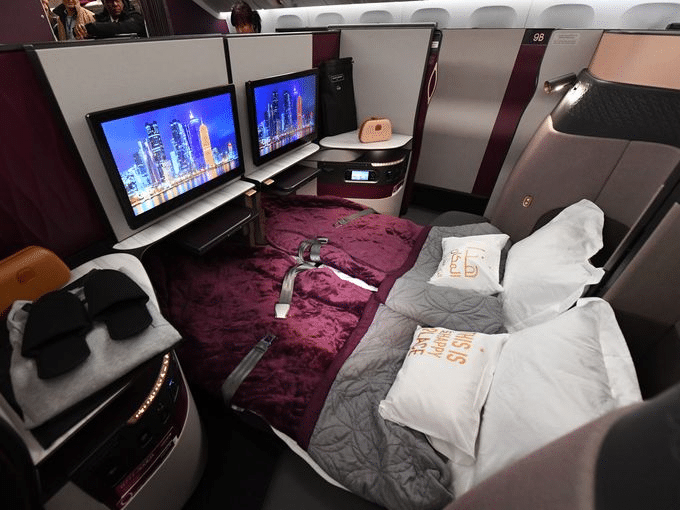 Singapore-based flyers have already been able to enjoy QSuites on two of the three daily flights to Doha (QR944/945 & QR946/947). From 31 March 2019, the third flight, QR943, will also be upgraded from an A350-900 to an A350-1000. This means a swap from Qatar’s perfectly decent reverse herringbone business class to a QSuites-equipped plane. How much do awards on this route cost? Here’s how much it costs to redeem a one-way Business Class award between SIN and DOH, depending on which program you use. Qatar Airways, sadly, does levy hefty fuel surcharges so you’re better off using a program like AA Advantage to book, because it does not pass those surcharges on. AA sells its miles frequently throughout the year at prices as low as 1.81 US cents per mile, although you can also earn those miles by crediting oneworld-operated flights. Please don’t use Qatar’s Privilege Club to book this flight! In addition to the fuel surcharges, Qatar Privilege Club imposes a ridiculous US$25/50/75 “award redemption fee” per sector for economy/business/first class awards. That’s the very definition of a junk fee, and together with their fondness for unannounced devaluations makes Privilege Club one of the worst FFPs out there. How much award space is available? The good news is that award space between SIN and DOH is fairly plentiful. Using the Avios search engine, I can see numerous days where as many as 4 Business Class awards are available. That’s fantastic, because it means you could book up an entire pod if you were so inclined. I realise Doha isn’t exactly high on many people’s to-visit lists, but you can also catch connecting QSuites flights out of Doha to places like London or Frankfurt. Do note, however, that you’re likely going to be looking at S$1K+ of fuel surcharges on a round trip itinerary like this. Assuming you can avoid QR’s pesky fuel surcharges, QSuites is a product you should absolutely seek to try at least once. It’s also good that passengers can start to expect a more consistent product across aircraft, given that the vast majority don’t bother to check seatmaps or aircraft types before booking. Is it too much to hope for this to happen again? ex-HKG will be a better choice if you want to try out QSuites and not pay for hefty fuel surcharges. The thing is not on A351 and you have to find cheap tix to HKG, and of course one more stopover in HKD. But then, you can visit the great lounges in HKIA too. MAN flight ex-HKG tax is 430HKD ($75) compared to ex-SIN taxes 2528HKD (S$457). the days of no YQ ex-HKG ended earlier this month. Not sure if the system is wrong or not. Wow, if that’s the case, I better book my flights soon as I’m still waiting for my points to be transferred over. Thanks for the info Aaron. fyi- technically 2 nov, not 1 nov. I just did a dummy booking of a one-way SIN-DOH. It’s 64125 miles (because of my Qatar Gold with 5% discount) and payable tax of $119.10 which includes the $68.90 booking fee. No idea. Did another dummy. SIN-DOH-OSL. It’s 119225 miles + S$199.10 of which $137.80 belongs to the booking fees of 2 sectors. Hey Aaron.. Just wanted to say.. Good stuff, again.. and thanks for.. err.. going the extra mile (yes, pun intended) by also including the different out-of-pocket component to the different number of miles needed from different FFPs.. ???? No worries Ken. Trying Q-suites soon? Seems like they have taken a step back. My April SIN-DOH 947/944 flights were initially booked on the A35k but now they have swapped it back to the A359 on both direction. Seat map no longer shows the QSuites configuration. Anyone else has the same experience? 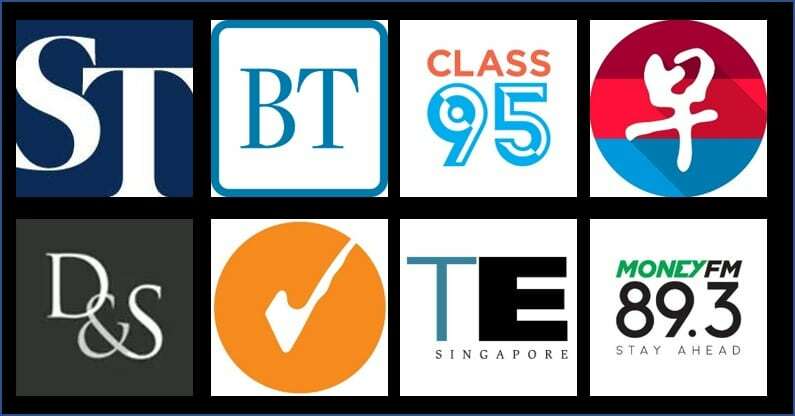 Full QSuites operation has been pushed to 16th July, 2019.